The goal of a mommy makeover is to correct the changes that naturally occur to a woman’s body during pregnancy. 01) Breasts: Sagging of the breasts, loss of breast volume and loss of firmness of the breast. 02) Tummy: Loose skin, stretchmarks, excess fat, and stretched weak abdominal muscles. After pregnancy, most of the naturally occurring changes to your body are things that cannot be fixed through diet and exercise alone. Following a proper diet and daily exercise will definitely help, but that alone cannot make your abdominal muscles go back together, cannot get rid of the loose excess skin, and cannot replace the volume loss or firmness to your breasts. Being a mother is one of the most important and demanding roles on planet earth. You worked hard and sacrificed a lot to raise your little ones, now it’s time to treat yourself! Every woman deserves to feel confident and comfortable. Whether you are interested in a subtle natural look, or a dramatic bombshell result, your mommy makeover will be personalized and customized according to your unique surgical requirements and desired aesthetic results. A mommy makeover typically includes a tummy tuck, liposuction, and breast surgery performed at the same time. The advantage of doing multiple surgeries at the same time is that the recovery is fairly easy and the time off work is the same as if you were having one operation. One operation is easier to get over than two separate operations and combining your tummy tuck, liposuction, and breast surgery is perfectly safe to perform at the same time. If you’re still deciding on which procedures to include with your mommy makeover, Dr. Avi Islur can help you determine which procedures would fit you best, according to the overall look you want and the lifestyle you live. In consultation, we also encourage you to show Dr. Avi Islur photos of your ideal outcome to give him a clear visual of the aesthetic results you’d like to achieve. 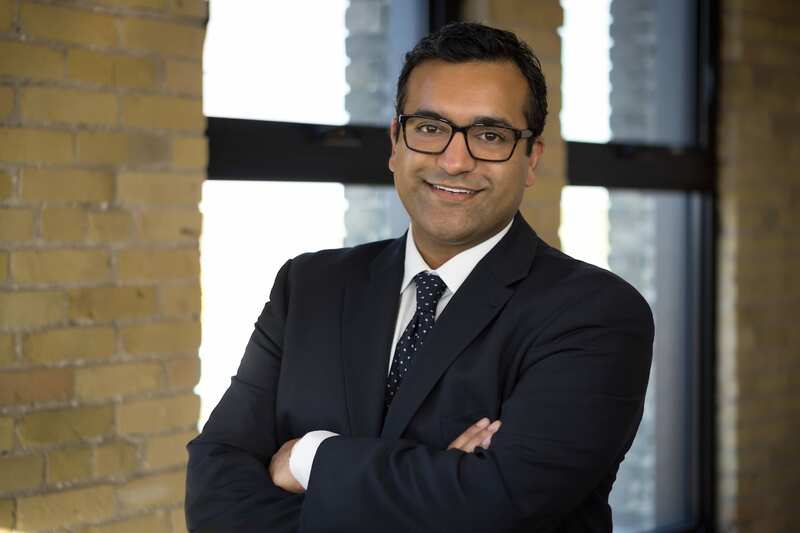 Dr. Avi Islur is the first surgeon in Winnipeg, and across the Prairies, to offer the latest before and after cosmetic surgery simulation software, so you can see your results before surgery! The simulation is performed during your initial consultation and you will receive a copy via email before you leave the clinic. 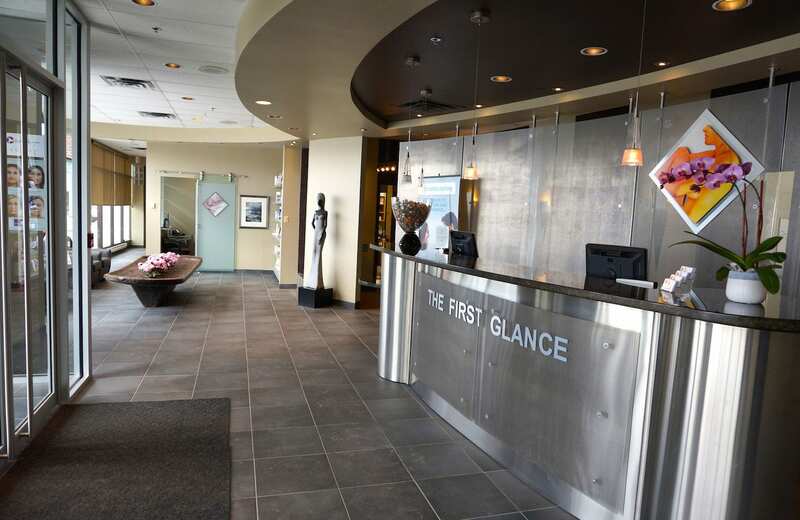 You can also see before and after photos while you are in clinic for your consultation. Dr. Avi Islur’s active cosmetic surgery practice is growing with out of province patients who travel across Canada and the U.S for Mommy Makeovers in Winnipeg, MB. If you are an out of province patient, please let us know so we can accommodate an appropriate time for your consultation and surgery date. With extensive specialized training and experience in body contouring, breast surgery, and facial cosmetics, Dr. Avi Islur can help you achieve the aesthetic results you desire. Which Procedures Are The Most Popular for a Mommy Makeover? Cosmetic procedures such as Breast Augmentation, Breast Lift, Tummy Tuck, Liposuction, and Natural Fat Transfer are by far the most popular choices at Dr. Avi Islur’s cosmetic surgery practice. What is a Natural Mommy Makeover? A Natural Mommy Makeover is an all natural way to define and sculpt your body without the use of breast implants. Your own natural fat will be collected via liposuction from specific areas of your body (such as your hips, thighs, love handles, and tummy) then used to create your new contour. Natural Fat Transfer for breast augmentation is a popular alternative to getting implants. If Dr. Avi Islur performs your tummy tuck, liposuction, and breast surgery on different days, that means an anesthetist would have to attend two operations. Only one anesthetic is required for a mommy makeover so the cost savings is passed on directly to you. Watch this Video to learn about Crystal’s Mommy Makeover with Dr. Avi Islur. She talks about everything from preparing for a consultation, choosing a surgeon, recovering, and everything in between. 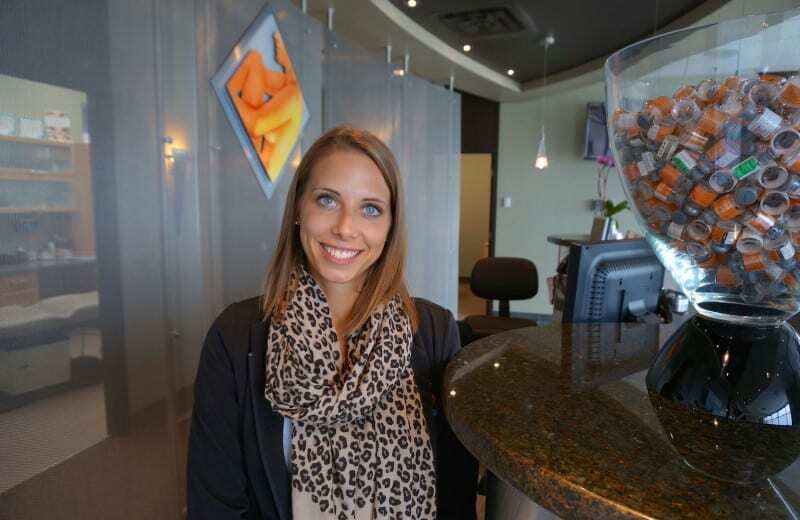 In this Video, Crystal talks about her surgical experience with Dr. Avi Islur. Her mommy makeover includes Tummy Tuck and Breast Augmentation. Please note that your surgery will be custom tailored to your unique needs and surgical requirements, individual results may vary. The length of your surgery will be determined by the cosmetic procedures you choose for your mommy makeover. This will be discussed during your in clinic consultation with Dr. Avi Islur. Plan to take about 5 to 7 days off work for recovery time. Every patient heals at her own pace. You may be able to return to work much earlier than others, however, it’s a good idea to have a few extra days booked off work for recovery time. The length of time to book off work depends on the procedures you are having and whether your job is physically demanding. Dr. Avi Islur will give you a specific recovery guide at the time of your initial consultation. Doctor notes are available and are very confidential. Your doctors note will not indicate the type of surgery you are having. Restrict strenuous aerobic activities, exercise and heavy lifting for 2 weeks following surgery. Avoid physical activities that will increase your heart rate and blood pressure or cause your breasts to move significantly. Do not massage your breasts for at least 1 full month after your surgery. 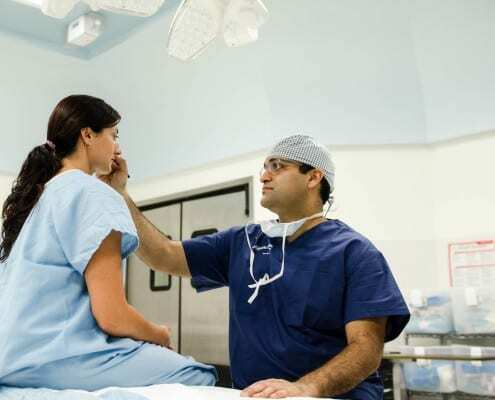 Dr. Avi Islur will give you specific post operative care instructions. Your surgery and recovery will be custom tailored to your unique needs, individual surgical results and recovery instructions may vary. If you are an out of town patient and have your mommy makeover in Winnipeg, you will have specific follow up instructions provided to you at the time of your consultation. Bring photos that demonstrate your mommy makeover goals so Dr. Avi Islur can get a clear visual of the look you’re going for. If you are interested in breast augmentation, bring a padded bra that reflects your augmentation goals. During your consultation, you will be able to see, touch, feel, and try implants on. This allows you to compare size, shape, and projection between your implant options and your favorite padded bra. Bring a tight fitting t-shirt or tank-top with you. Seeing yourself with a shirt on makes it easier to determine the changes you’d like to see. For your convenience, Dr. Avi Islur has provided answers to the most common questions he hears about mommy makeovers. You can view our FAQ page for more information. Please view Dr. Avi Islur’s Post Operative Care Instructions to get an idea of what you can expect after your mommy makeover in Winnipeg. Your surgery will be personalized and custom tailored to your unique surgical requirements, individual results may vary. All of Dr. Avi Islur’s patients go through a 5-phase process, get a bird’s eye view of what you can expect.